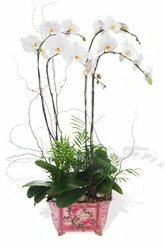 Add a touch of class to any space or any room with one of these truly stunning white Phalaenopsis Orchid plants. Treat yourself or that someone special. 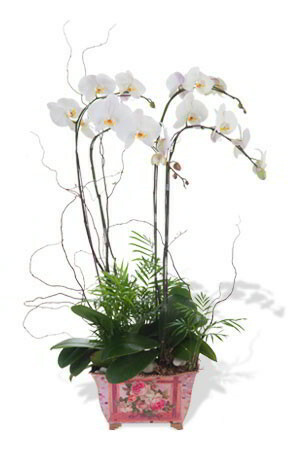 Features 4 Phalaenopsis stems. Very useful reminder, easy to order (and to rewrite card message - last time it wasn't, I had to go through the whole process), and the automatic shipping address makes a smooth and easy process.